Mighty-thewed Barbarian miniatures emerging from the mists of prehistory to raid and pillage under the auspices of Dark Gods. Untill now RBG miniatures have been largely 'northern' in inspiration, weaving Nordic and Arthurian influences into a frostbitten Dark Ages milieu. With Warbands of Wrath and Ruin, RBG steps into a new direction. The primeval dawn of time, before the sinking of Atlantis to a world of ruined empires, a world of gods and magic, of flesh and bronze a world or barbaric heroism. Renegade Scout - Retro-inspired Sci-fi Miniatures Rules is a 179 page e-book (pdf) published in August 2018, by Nordic Weasel Games and written by Ivan Sorrensen, containing 50 colour photographs of various science-fiction miniatures and some scratch-built scenery. 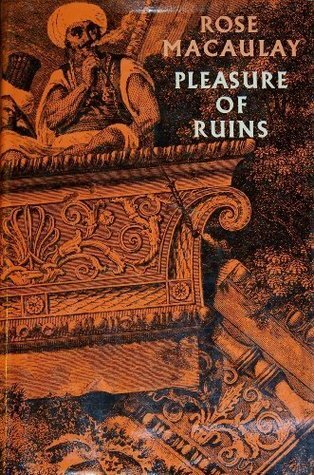 Ivan is quite open about his inspirations and sources - the original 1987 Warhammer 40k: Rogue Trader and 40k 2nd edition, his introduction even goes as far as to suggest a musical play-list including Slough Feg, Bolt Thrower and The Sword, all hopefully familiar territory to long time followers of this blog, and firmly in the centre of my gaming obsessions. 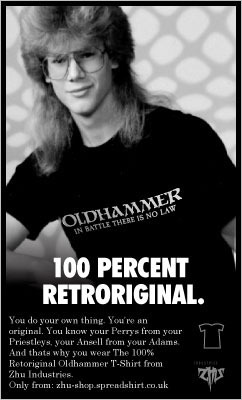 It has to be said, rewriting the ruleset that built a gaming empire is a brave move, not only taking on Rick Priestly's 1980s design decisions, many of which lasted through 30 odd years of tinkering by inheritors, but also the legions of grongnards who appreciate the original game like a vintage motorcycle. Like a vintage motorcycle, spends most of its time in the garage. Renegade Scout is touted on it's OBS page as a retroclone. To me, the word 'retroclone' has a very specific meaning, in that the game mechanically reproduces or 'clones' the original, as near exactly as legally possible. 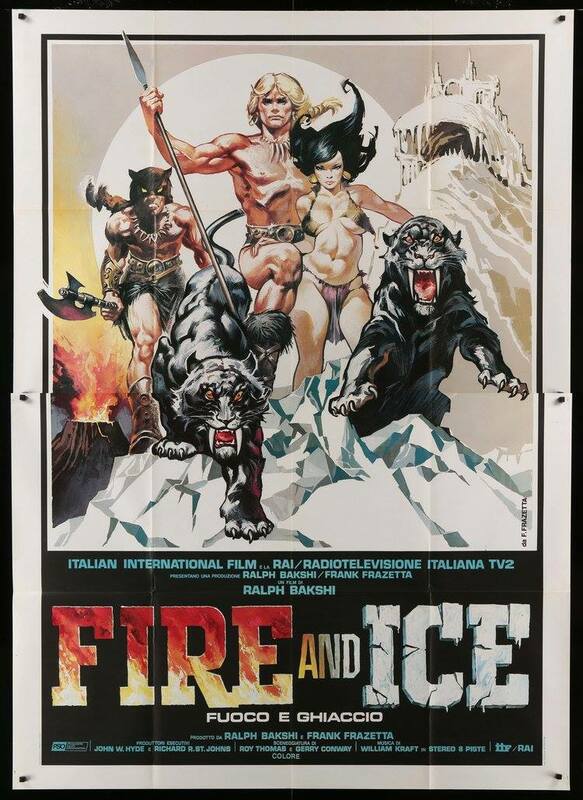 So OSRIC is without a doubt a retroclone of the 1978 Advanced Dungeons & Dragons, while Lamentations of the Flame Princess - based on 1974 'oD&D' and somewhat compatible is not a retroclone of it, but instead takes some of the core ideas and takes them into a new direction. Renegade Scout is an example of the latter rather than former. If you're looking for a retroclone of Rogue Trader to use at the table as a straight alternative to your original hardback that fell apart because the binding was iffy, or to compile the various additional rules from White Dwarf - Renegade Scout is not intended to fill that role. Most notable deviations the core combat mechanics have been overhauled, the To-Hit and To-Wound tables have been replaced with a roll-under stat mechanism, much like contemporary 40k, which Renegade Scout then uses as a universal mechanism for action resolution. The turn order is different, with the players taking turns within each phase (movement, shooting, combat etc. ), rather than completing all their phases before play passes to the other player. As Ivan states in his designers notes, having produced a reasonably accurate retroclone as a draft, he then took it into a new, simpler and more streamlined direction. 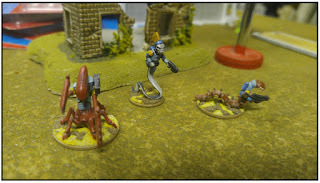 Whether the ideals of simpler and more streamlined can produce an authentically old-school experience is very much a matter of taste, nontheless, much of the attitude and game style of the original Rogue Trader remains - the open universe, narrative gaming and providing a large toolbox of ideas to play with. 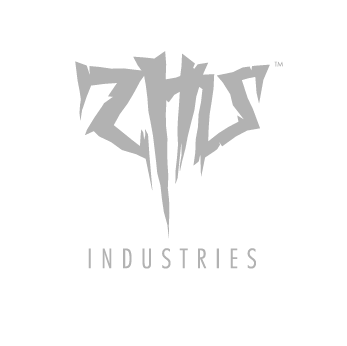 The whole thing is written in a clear, friendly, personable style, not a dry rules-lawyereese nor the incessant sales-pitch nor constant self aggrandisement that plagues many genre games. The attitude is both casual and enthusiastic, but doesn't intrude on the clarity of the rules. Although the PDF has not been professionally designed, the page layout is very clear and functional, not suffering from paragraphs breaking over pages or many of the typographical and layout problems we see in small press games. While there are no diagrams, the explanations are clear, but for primarily visual learners this might be something of a drawback. There is much that will be familiar to the 40k Grognard and appeal to those looking for something similar, in function, playstyle and attitude, yet different and not explicitly tied down to the extremely narrow narrative tones of 40k setting such as the recent 40K:Kill Team or Necromunda. The profiles, with renamed statistics are very much the same as Rogue Trader / Warhammer 2nd - keeping the Leadership, Cool, Intelligence, Willpower - and expanding on their use to make them more . There are familiar equipment lists and several archetypal species statlines - these are given within the lightweight "Unified Space" setting, which like the original Rogue Trader is pretty much a hodge-podge of sci-fi sources designed to enable you to tell your own stories, and easily convert from one fictional universe to another as you'd expect from a generic game. It's easy to recognise what the Unified Space the creatures might represent from other universes - alongside both stalwart and scummy humans there are even Necron and Tau types for those interested. So you can easily stat-up pretty much any model you have or want to make by deciding what kind of creature is closest to it, and selecting the kind of weapons it is armed with and keeping this all consistent. Renegade Scout suggests estimating force strength and judging whether the forces appear fair. There is a similarly a relaxed attitude to creature creation, where just tweak one of the example profiles to make a different creature. As someone who advocates for well thought out and predictive points systems in wargaming, I find this is a bit of a shame, but I appreciate such interests are extremely niche. 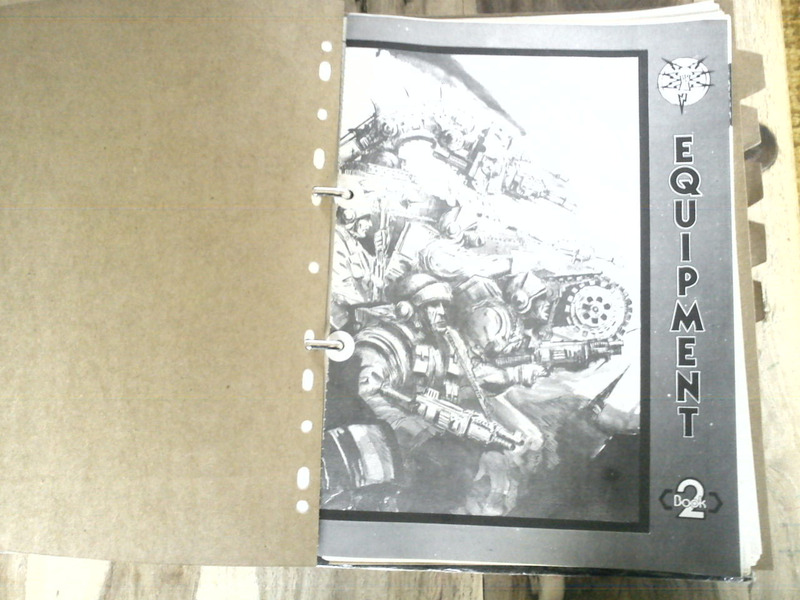 The 170-odd pages of rules cover an awful lot, there several specialist troop types, Jump Troops, Fire Teams, Swarms, Cavalry, off-table heavy support weapons. There are dangerous and deadly Terrain tyes and various Flora and Fauna, some of which will be familiar to Rogue Trader players, and others adding new twists. There is a Psionic / Magic phase and attendant powers (graded in 4 levels) rather nicely titled Wyrd, with a fun critical failure table and a serviceable list of powers (from psionic blasts, to healing). 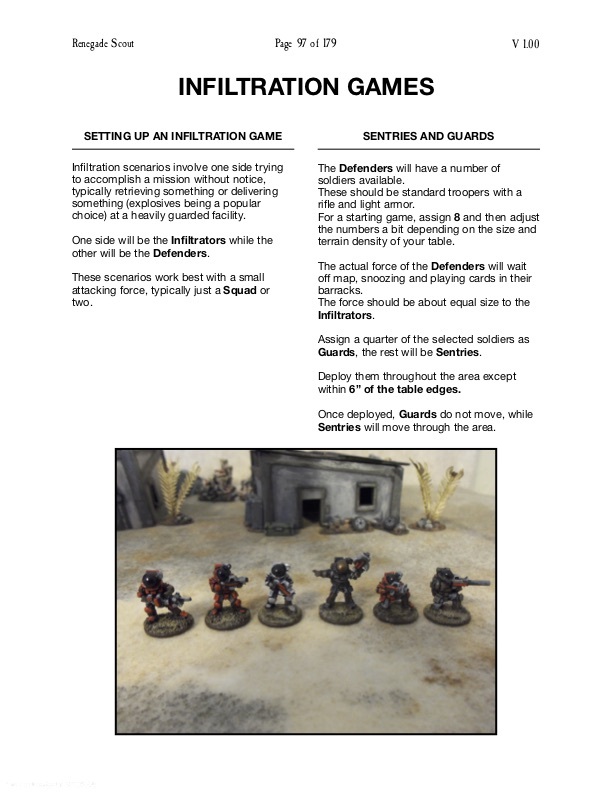 While the focus of the game is small squad and character actions, there are some lightweight vehicles rules - much simpler than those presented in Rogue Trader, you won't need to work out acceleation, deceleration speeds and turning circles. This might lack the crunch for a dedicated heavy armour game, but again has an entertaining critical failure table to ensure the pushes the story forwards. By far the biggest highlight for me is the 'Problem Solving' section, here Profile characteristics used to determine outcomes - so if you want to break down a door, roll under Strength, if you want to pick the lock, roll under Intellect, use modifiers if the problem is more or less difficult. This kind of streamlining, rather than tagging on a slew of special skills, rules and keywords to model actions is an elegant solution. Renegade Scout goes on to provide a number of useful examples, like using stolen communications equipment and barricading doors that not only illustrate the rules system but help provoke narrative scenarios and inspire the kind of games that the 'there is only war' crowd don't. It's a lightweight flexible framework that successfully expands the core engine beyond just shooting and punching stuff, towards more action, adventure and discovery without bogging the rules down or overcomplicating the game, and easily lends itself to improvisation. 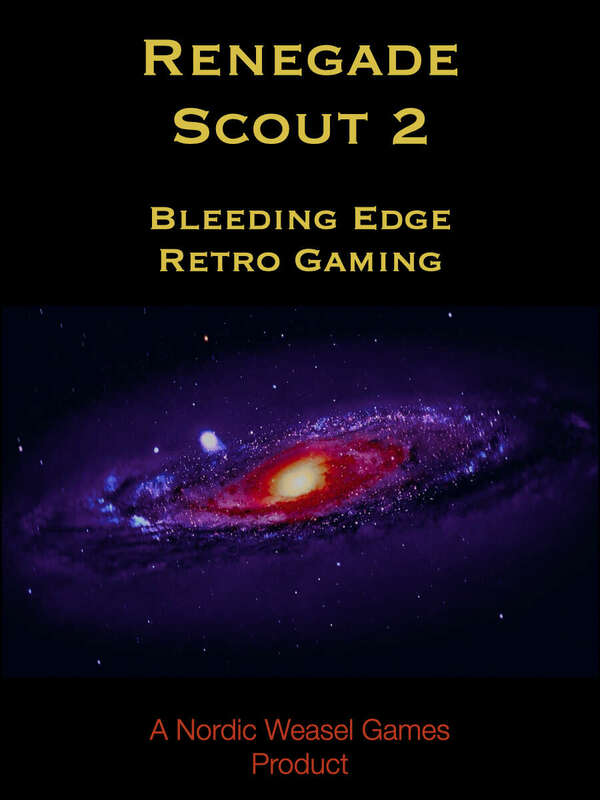 Renegade Scout also has guidelines and advice on writing and running different kinds of scenarios and campaign games, as well as optional, advanced rules, many of which belie more of a nu-school game design philosophy, taking some of the better innovations of more recent game design and adding them to the core. 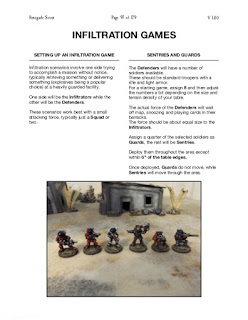 There is a skills system based on special rules to supplement the statline tests and provide further diversity of character and troop types, and a Decision Point system that can be spent to invoke special rules and abilities, much like how Command Points and Stratagems/Tactics work in 40k 8th Edition/Killteam, where a certain number of points are generated each turn and these can be spent on activating special rules. These are flagged as optional but well worth playing with - Renegade Scouts modular approach encouraging experimentation and rules tinkering. My biggest gripe, actually has very little to do with the game itself - unfortunately the miniature photography doesn't credit the manufacturers of the models, or note what ranges they are from, or who painted them. On the one hand it is refreshing to read a sci-fi miniatures ruleset that doesn't exist primarily as a sales catalogue, on the other hand, there are some quite cool aliens I wouldn't mind seeing more of. Speaking of models, there is, in grand old Rogue Trader tradition, a modelling and painting section, with some solid advice on getting half decent looking terrain and models on the table quickly so you can get on with playing a game, rather than posting 4K Ultra HD tilt-shift digital photographs on Instagram and dreaming of winning Golden Demon competitions. If you're hankering after a version of Rogue Trader that gives you narrative skirmish gaming, but with considerably little less 'clunk' in the form of table referencing and taking a steer from modern trends in tabletop gaming. Or if you're new to tabletop miniatures gaming, and perhaps not convincefd of the "there is only war" (i.e. there is only 'combat') schtick or want something more generic and not explicitly tied to one specific science-fiction universe, with a little more RPG-focus that encourages you to tinker with the rules a bit, and not treat them like the holy gospel, then Renegade Scout might just fit the bill.